Posted on Tuesday, June 17th, 2014 at 8:45 am by Pieter van der Westhuizen. We’ve previously explored the different options for developing gadgets for Gmail as well as what options are available to developers to create apps that run on both the desktop and web editions of Microsoft Office. The two platforms are very different and offer varying degrees of customizations. In this article we’ll assess the differences between the two platforms as well as what we’ve learned so far. Let’s see what Microsoft and Gmail have to offer in terms of extensibility. 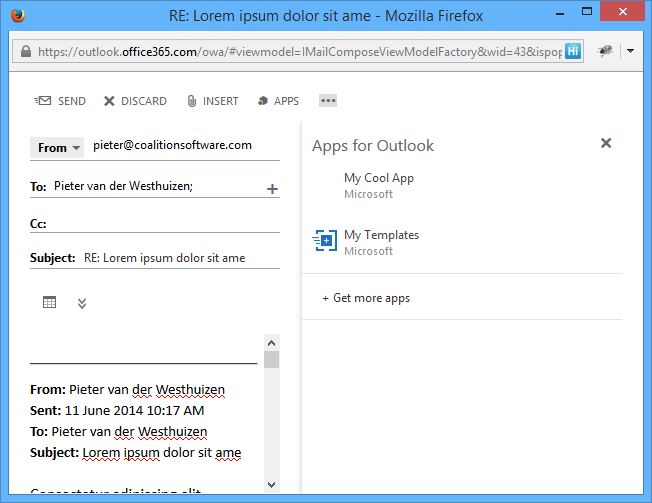 Compose apps have been introduced in the second release of the Office apps platform and was something I neglected to mention in my previous blog post about Creating Outlook Apps. I am excited about compose apps, since this is the first step in getting closer aligned with the desktop programming model of Office. 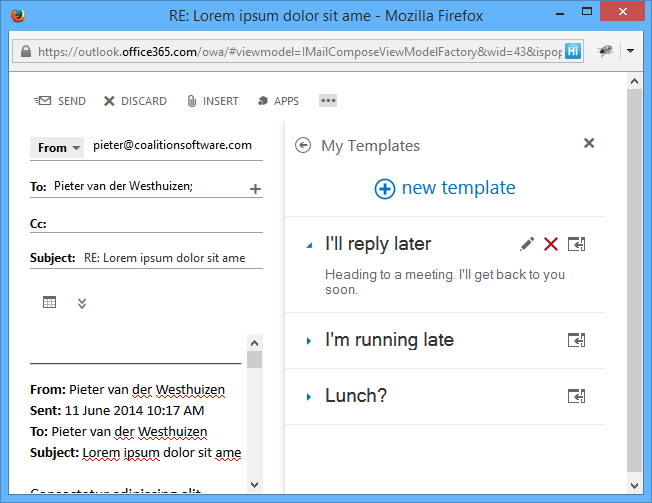 Compose apps are analogues to Office Task Panes as it is displayed on the right-hand side of the e-mail or appointment compose windows. 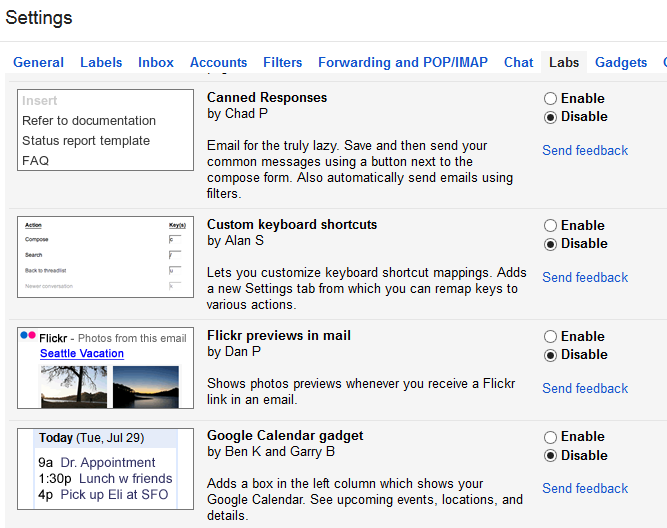 Both the Gmail sidebar and contextual gadgets are relatively relaxed with UI considerations. In the above image, you can see that we used the Bootstrap framework to style the user interface and jQuery was also allowed. Both platforms provide very different approaches and architectures for further development. Let’s take a closer look. Gmail Sidebar gadgets are hosted on third party servers; it can be as simple as saving the gadget specification xml file on a web accessible server and adding the gadget by pointing to the correct url. Gmail Contextual gadgets are a completely different story and involve the need to first log into your domain’s console and creating a new project. From there you’ll upload the manifest file and any custom extractors you’ve written. You’ll also need to grant data access for the gadget, before users can use it inside their own Gmail application. To use Outlook Online, you need to first provision a developer site on SharePoint in order to create the app. Once the app is created using the Napa Development Tools, you can run it inside Outlook Online. 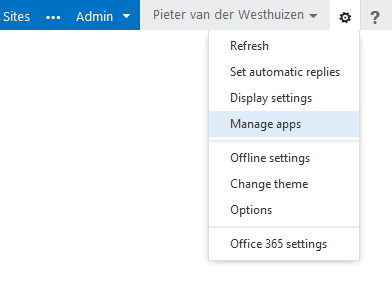 Deploying the mail app involves logging into the Exchange Admin Center, which you can read more about on how to deploy a mail app on MSDN. Unlike Google Sheets and Google Docs, Google does not offer an integrated online development environment for Gmail gadgets. 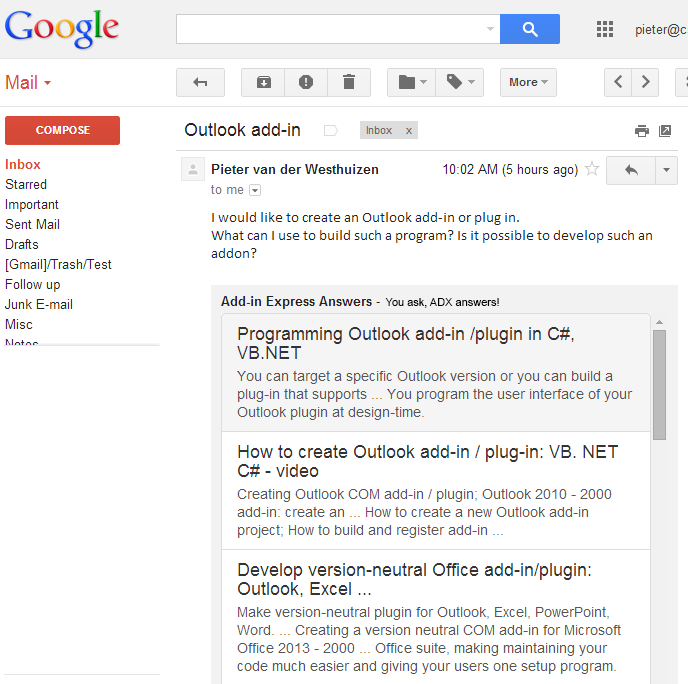 Instead, you can develop Gmail gadgets as you would any standard Html web page, using your favorite text editor. The big drawback of not having an IDE to develop gadgets is the lack of intellisense and compile-time error checking, which make debugging your gadget codes somewhat more challenging. Microsoft offers Napa Development Tools, which is a rather nice online IDE, but it does not offer much in the line of compile-time error checking, nevertheless it does offer fairly decent intellisense. Of course, you can always download the mail app project and open it inside the desktop version of Visual Studio that will provide all the functionality .Net developers have become accustomed to. The Gmail API on the other hand does not offer much flexibility when it comes to sidebar gadgets. Side bar gadgets cannot access the user’s inbox or e-mail message, you are nonetheless able to set certain properties for the gadget like its title and preferences. Contextual gadgets also only provides flexibility via extractors, where the extractor checks the subject, sender, or body etc. 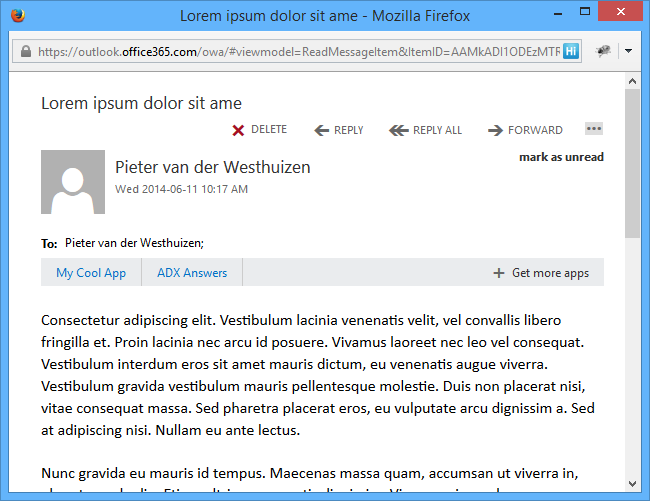 of the email message. I could honestly not find anything that resembled a store for Gmail gadgets, the closest I could find was the Labs tab under my Gmail settings. There is a wide variety of gadgets, but you must keep in mind that they may change, break or disappear at any time. Clicking on the “Add from Office Store” option will take you to the Office store where you can add a new app by simply clicking on the Add option underneath its name. I have been using Thunderbird for years and dealing with the lack of ability to have a calendar that could sync of multiple platforms. I had it working through a combination of APIs, apps and other lack luster configs (running on windows XP, android, Google calendar…); one piece in the meantime went unsupported and I was out of luck. Everything and anything available from one place, at all times, on every device, on all platforms, in the same format, update-able and sync-able! Is this too much to ask? Come on, Santa was real, wasn’t he?